This image depicts a bowl of Black Bean and Corn Soup, which had been topped with a dollop of fat-free sour cream, and cilantro leaves. 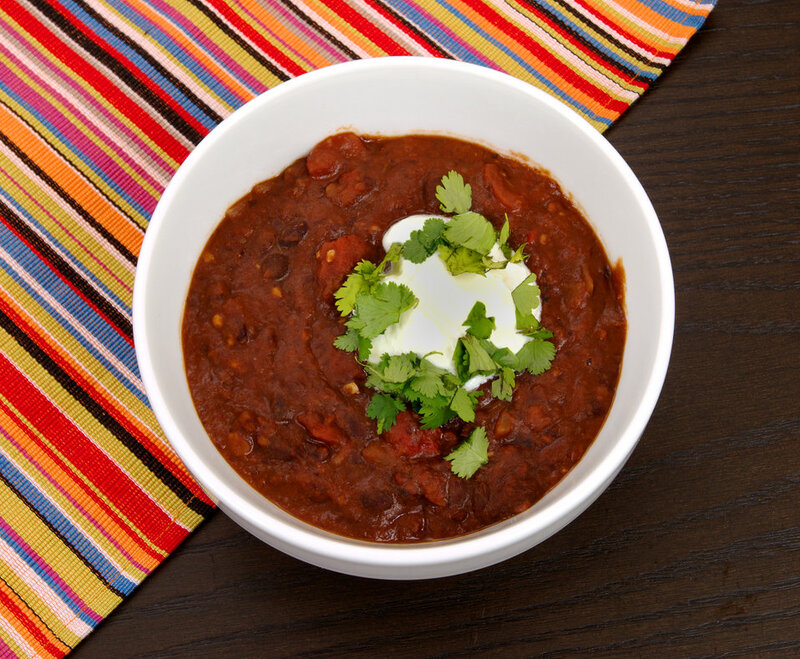 The soup's ingredients included black beans, stewed tomatoes (Mexican-style), low-sodium diced tomatoes, whole kernel corn, green onions, green pepper, celery, chili powder, cumin and garlic. Delicious, and high in protein and antioxidants, this is surely a great choice in a spicy, healthy meal.